Since a breastfeeding child gets all of her nutrients from her mother's milk, it's wise to be conscious of what you eat if you're nursing. You can breastfeed and follow a vegetarian, vegan, or another similar type of diet, if you wish, as long as you eat a variety of foods (including fortified ones) that together deliver adequate amounts of vitamins and minerals, such as vitamin B12, iron, and zinc. If these nutritional needs are not met with your vegetarian, vegan, or another diet, some dietary supplementation may be necessary. Mature breast milk contains water, fat, carbohydrates, protein, vitamins, minerals, and over 20 different amino acids. Some of these are virtually guaranteed to be in breast milk regardless of your diet, as they are present in and drawn from the body if needed. Others, however, must come from the foods you eat. For example, even if you are not getting enough calcium in your diet, your breast milk will (in most cases) still have enough for your baby. Your body will draw on calcium from your bones, releasing it into the bloodstream in a process known as calcium resorption. Your kidneys will also secrete less calcium in your urine so that more of the mineral is available for breast milk. However, to maintain your own healthy and strong teeth, bones, and overall health, you will want to ensure that you are eating enough calcium-rich foods or taking calcium supplements. In other words, you should be eating calcium-rich foods and taking supplements because they are important for your health, but it will rarely affect the calcium content of your breast milk. 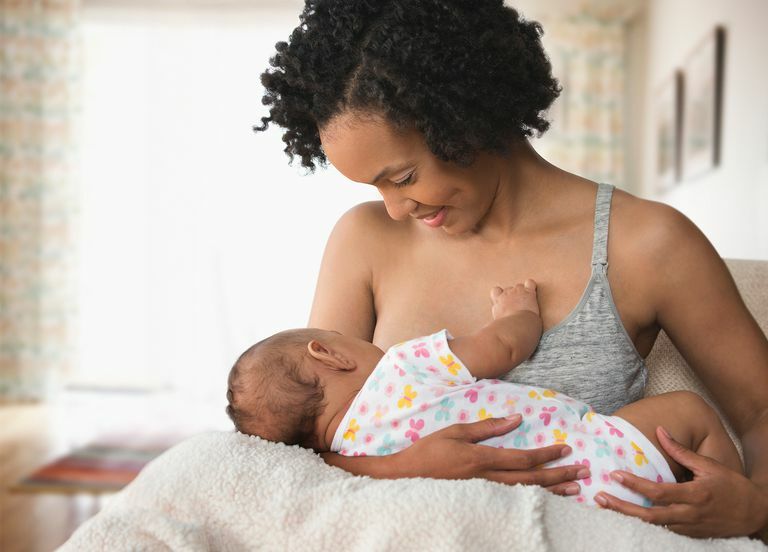 What can affect the nutritional quality of your breast milk is a diet that is deficient in nutrients that the body does not store in large quantities or cannot make (such as vitamin B12, iron, DHA, iodine, and zinc). For example, you are deficient in vitamin B12, your infant will also become deficient in the vitamin because it can only be obtained by eating animal products. A vitamin B12 deficiency can lead to loss of energy and appetite, failure to thrive in baby, and possibly even coma. If you do not consume any animal protein whatsoever (such as with a vegan diet), you will need to supplement your diet with vitamin B12 and/or B12-fortified foods to prevent your baby (and yourself) from becoming deficient. How Many Calories Do I Need While Breastfeeding? Most plant foods are low in calories, so you need to make sure that you eat enough to meet your daily caloric needs. A breastfeeding mother requires 300 to 500 calories in addition to the 2000 calories a day recommended for women. As mentioned before, vitamin B12 is a nutrient that is only found in animal products. If you're vegan, you may not be getting enough of this important vitamin. So, to prevent a vitamin B12 deficiency, you can use products fortified with B12 such as soy foods, meat substitutes, and brewer's yeast. But even with the addition of B12-fortified foods into your diet, it's likely that you will still have to take a supplement while you are nursing, as breastfeeding mothers need to increase their intake by 0.4mg/day. Be sure to discuss this with your doctor. Your breastfed baby may also need vitamin B12 supplements, so talk to your child's pediatrician as well. Although calcium is stored in the body in large quantities, it is an element that is not produced by the body. Your body gets calcium from the diet and, if you don't consume dairy, you will need to get calcium from other sources. The suggested daily intake of calcium for breastfeeding mothers is 1,300 milligrams per day. You can find calcium in many vegetables, especially dark leafy greens, as well as beans, fortified orange juice, and soy products. Calcium supplementation may also be necessary. All women, including pregnant women, need a minimum of 600 international units of vitamin D per day. And studies have shown that if a breastfeeding woman is deficient in vitamin D, both her breast milk and, thus, her infant will also be deficient in the vitamin. If you spend a little time outdoors each day, you may—depending on where you live—be able to get enough vitamin D. However, excess sun exposure can be dangerous. Foods that provide vitamin D include cheese, egg yolks, fatty fish, (like tuna, mackerel, and salmon), and fortified foods like some dairy products, orange juice, soy milk, and cereals. You should talk to your doctor about your specific situation, and whether or not you need to take a vitamin D supplement. Your breastfed baby may also need vitamin D supplements, so speak to her pediatrician. Docosahexaenoic acid (DHA), an omega-3 essential fatty acid that is found mostly in fish, is needed for the healthy development of your baby's brain and eyes. Plant sources of omega-3, such as flaxseed, hempseed, and walnuts, contain alpha-linolenic acid (ALA). Your body converts ALA into DHA, but only in small amounts. Ideally, you should be getting about 1,500 milligrams of DHA per week. Talk to your doctor about taking a daily omega-3 vitamin, especially while you are breastfeeding. Iodine is important for the health of your thyroid gland. The American Thyroid Association recommends that you take a daily supplement that contains 150 mcg of iodine if you are nursing. Using iodized salt or eating seaweed can provide you with iodine. If you don't eat these products, supplements are available. Be sure to talk to your doctor about how much iodine you get in your diet. You don't want to get too little iodine, but you don't want to get too much, either. Iron is used by the body to make a substance in red blood cells that carry oxygen to your organs and tissues. During pregnancy, you need double the amount of iron that a non-pregnant woman needs (between 9 to 10 milligrams of iron per day, depending on your age). But if you are breastfeeding, you do not need as much as a pregnant woman requires. Get enough iron from whole grains, tofu, mushrooms, nuts, leafy green vegetables, iron-fortified bread, and cereal. Eating foods high in vitamin C along with these foods will help you absorb more iron. Like calcium, zinc is a chemical element that is stored within the body. Zinc levels in breastmilk are kept constant by depleting the zinc stored in your body, which means you require 12 milligrams per day or more from your diet to meet the needs of both your baby and yourself. Many plants contain zinc, but the zinc from plants is not absorbed as well as the zinc from animal products. So, you have to eat more foods that are rich in zinc each day. You can get zinc by eating nuts, seeds, beans, grains, and leafy green vegetables, or fortified foods, to prevent deficiency. Protein is also very important and while breastfeeding you should eat two to three servings each day. You can get enough protein daily by eating beans, lentils, rice, nuts, nut butter, whole grain bread, and dark green vegetables. If you've been following a vegetarian or vegan diet for a while, you may already know how to get all the nutrients you need without eating any meat or other animal products. Here are some commonly restricted diets and some of the possible nutrients they may provide or lack. Lacto-ovo is the most common type of vegetarian diet. A lacto-ovo vegetarian does not eat any meat or fish but does eat eggs and dairy products. Since eggs and dairy products contain protein, vitamins, and minerals, you may not need to take any additional vitamin supplements if you follow this type of diet. A lacto vegetarian diet is a plant-based diet that includes dairy products, but not eggs. Many dairy products are fortified with vitamin D. They are also an excellent source of protein and calcium. The addition of dairy products into your diet gives you the vitamin B12 that you need and makes it easier to get enough calories each day. An ovo vegetarian eats eggs, but not meats or dairy products. Eggs contain many nutrients. They are also a good source of protein, vitamin B12, vitamin D, calcium, iron, riboflavin, zinc, and omega-3 fatty acids. A semi-vegetarian has a diet that is mostly plant-based with the occasional addition of meat and other animal products. If you are a semi-vegetarian and you eat a well-balanced diet, you should be able to get all the nutrients and calories that you need each day without supplementation. A pescetarian diet is similar to a vegetarian diet because it excludes beef, pork, and poultry. This diet differs from a vegetarian diet, however, because it includes fish, an excellent source of protein and many vitamins, minerals, and the essential fatty acid omega-3. A vegan diet is a purely plant-based diet; it does not include meat, fish, dairy, eggs, or any products with animal-derived ingredients. While a vegan diet is healthy, some vitamins and nutrients are more difficult to get when you eat this way. You may want to supplement your diet with vitamin B12, DHA, iron, and zinc to fill in any possible gaps. Your diet absolutely should be based on your nutritional needs and personal preferences. But when breastfeeding, you have the added concern of making sure that what you're eating will also provide adequate nutrition for your child. Some women on a meat-free diet consider changing their way of eating when pregnant or nursing simply because it makes getting proper nutrition easier. But if you'd rather not, be sure that you work with a health practitioner to be sure that you are properly nourishing both yourself and your baby. Should You Take A DHA Supplement If You Are Breastfeeding? How Many Calories Do You Need to Eat and Burn While Breastfeeding? Is It OK To Eat Fish If You're Breastfeeding?